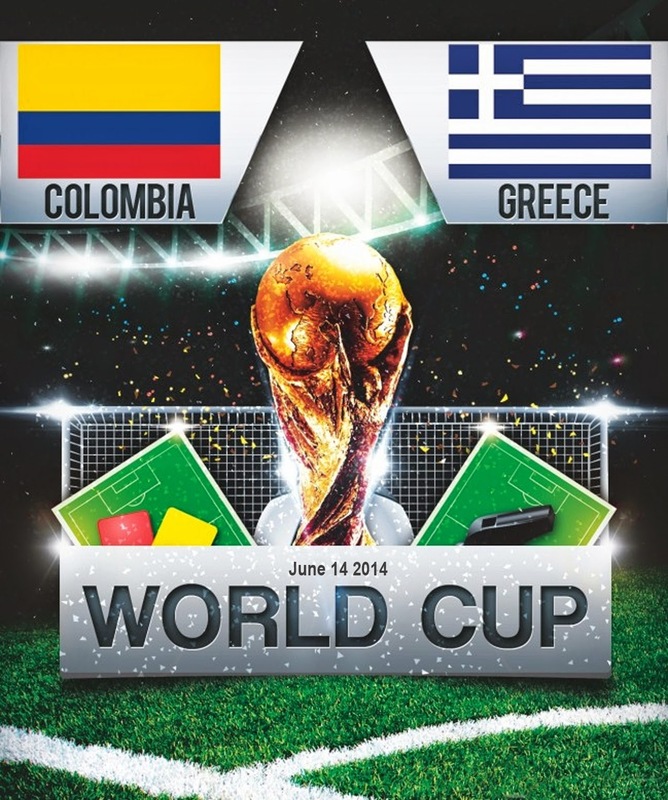 On Saturday at Estadio Mineriao Belo Horizonte, 14 June 2014 we will have 4 world cup games taking place, with Greece facing off the day against Colombia in what is a very balanced match and we can safely say that this game can go either way. Greece are known for being a tough opponents who can make any teams life difficult with their resilient defence and quality set pieces, while Colombia will be without Rademal Falcao but they do have a team to get through this group. No Rademal Falcao for Colombia leaving Jackson Martin to start upfront on his own, while James Rodrigues, Cuadrado and Ibarbo to start in attacking roles with 4-2-3-1 formation. 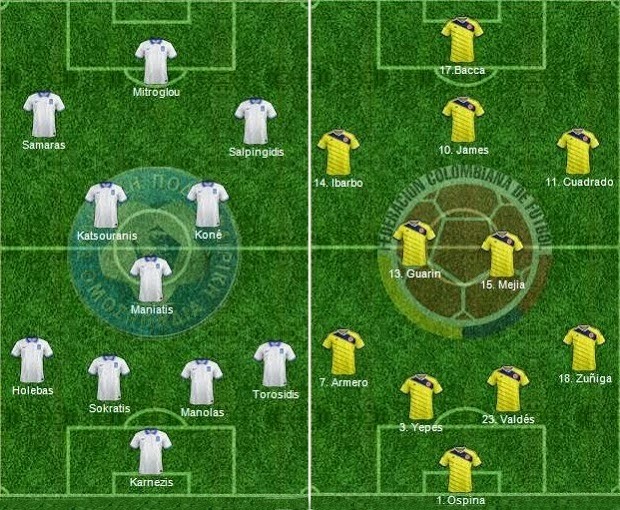 Greece On the other hand are likely to go with 4-5-1 formation and here is the predicted lineup of both sides. A very difficult game to predict, but Colombia do have firepower upfront to trouble greece. Although they will be missing their best player in Falcao and alot depend on how Jackson Martin take the responsibility of leading the line, although an narrow win for Greece side who will make the game through in the middle of the park. What you think of this match, who you favour ? do let us know with you comments below.